Weathered concrete sides suddenly give way to crisp, clean, multi-colored LEGO blocks stretched across thin air, looking more like something from Minecraft (or Photoshop) than reality. Rest assured, the effect is real, though what you are seeing is (thankfully) not made of plastic. 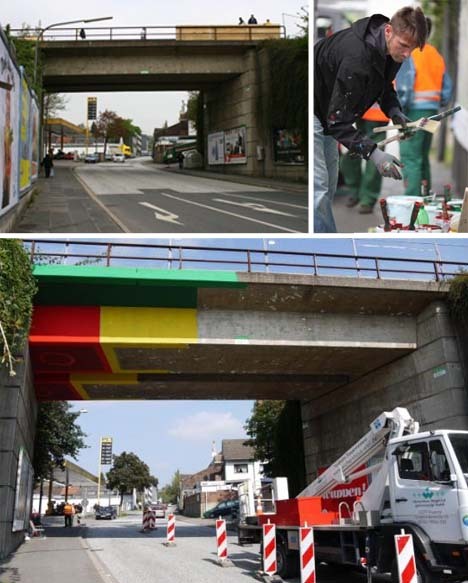 Iconic 3 by 2 blue, green, yellow and red blocks appear suspended from a thin brick above, all the work of German street artist Megx (images by Rolf Dellenbusch and Lukas Pauer), who has moved on from past court penalties to do officially-sanctioned pieces like the one depicted here. 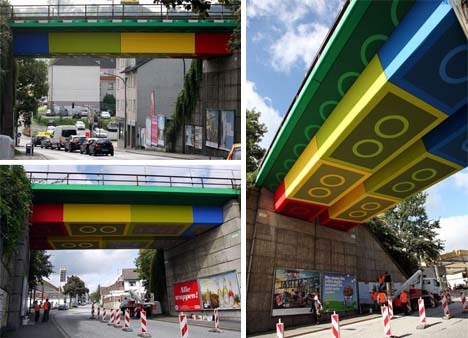 This project took two weeks, and is part of a larger HighLine-like transformation of elevated railways (in the artist’s hometown of Wuppertal, Germany) into pedestrian thoroughfares. 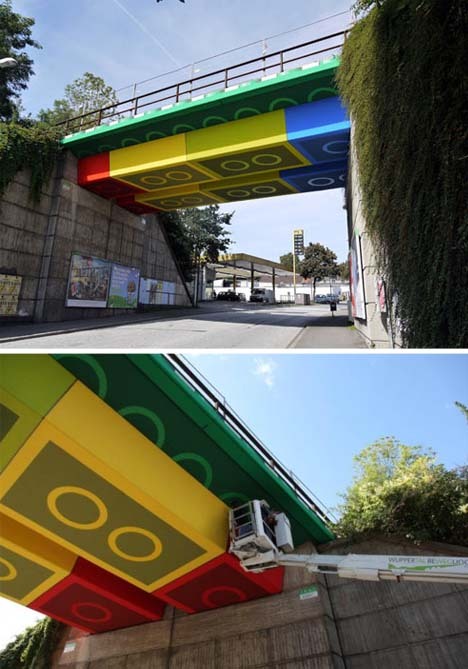 This more-vibrant refacing attracts the eye and signals a more playful new use for this old train overpass.